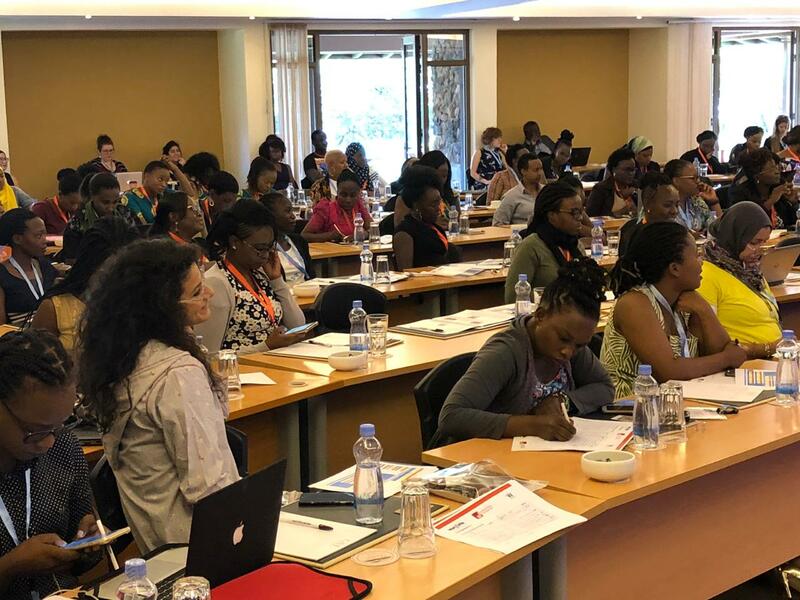 In partnership with the International Women’s Media Foundation (IWMF), WAN-IFRA’s Women In News (WIN) programme is holding the Women’s Media Leadership Bootcamp in Naivasha, Kenya between 26 and 29 January 2019. With 115 women journalists from 14 countries across Africa, the Bootcamp kicked off yesterday with a day full of talks and trainings by powerful female media leaders. Today we took polaroids of each participant and asked them to write one word that summarized their aspirations for the week. In her opening remarks, Elisa Munoz, IWMF’s Executive Director said, “This bootcamp marks the beginning of an exciting partnership with WAN-IFRA and Women in News, with whom we share a mission and a vision to support African female journalists.” She also added that, "There cannot be press freedom unless women are invited." In her speech, Sittoni stated that, "Excluding women from news is to exclude half of the ideas, half of the population, and half of the audience." Sittoni was then joined by African media powerhouses Paula Fray, Director of South Africa’s FrayIntermedia, Catherine Gicheru, Country Lead at Code4Kenya, and Barbara Kaija, Group Editor-in-Chief of the Vision Group in Uganda for a round of “Ignite Talks”. The Talks were followed by questions from the participants, as well as Breakout sessions on specific topics. The Bootcamp will focus on four main modules, Podcasting, Mobile Journalism, Data Journalism, and Photography, as well as offering sessions and trainings on issues liked Safety, Sexual Harassment, Trauma Sensitive Reporting, and Media Management. Trainers include Nomusa Taylor-Dube, Churchill Otieno, Naima Mungai, Laura Beltran Villamizar, Sarah Waiswa, and Alison Baskerville.